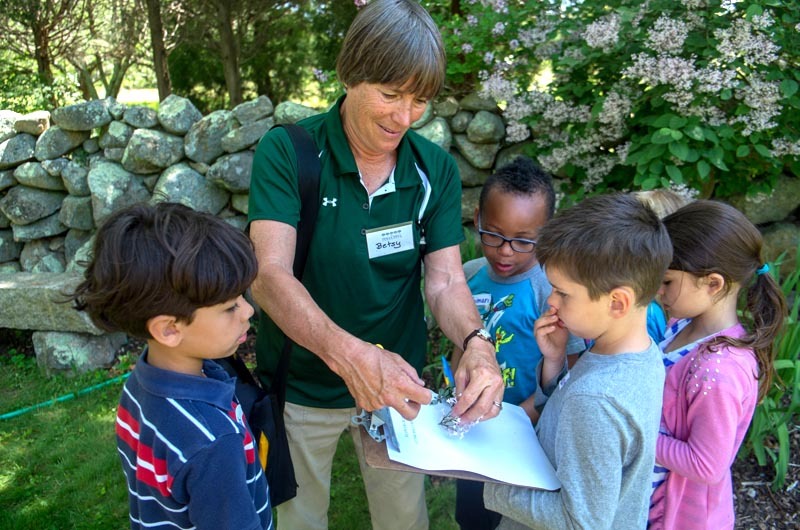 Students from Edgartown School couldn't wait to start hands-on science lessons at arboretum. 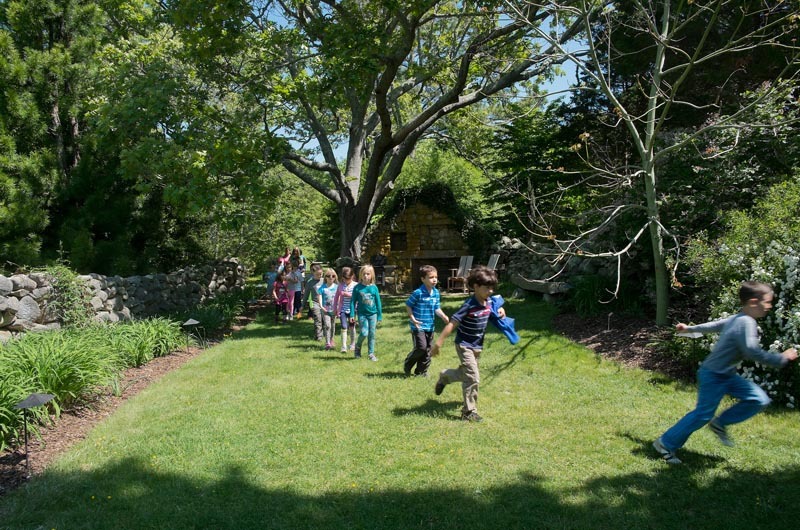 A group of Edgartown School first grade students were alert and energized while walking single file into the old barn near the entrance to the Polly Hill Arboretum. This was the second field trip of the year to the arboretum for these students and they knew just what to do. They were led by teacher Kate McCormick and arboretum youth education coordinators Betsy Dripps and Jill Bouck. The ongoing education programs are offered free of charge to kindergarten through fourth grade students throughout the Island. Prior to each trip, Ms. Dripps and Ms. Bouck go into the schools to teach the students about what they will see at the arboretum. Then, during the field trip, the students can wander about and follow their own interests. After a getting a lesson in the barn, the students were led by the instructors, now including volunteers Linda McGuire and Barb Caseau, out to the wider arboretum. 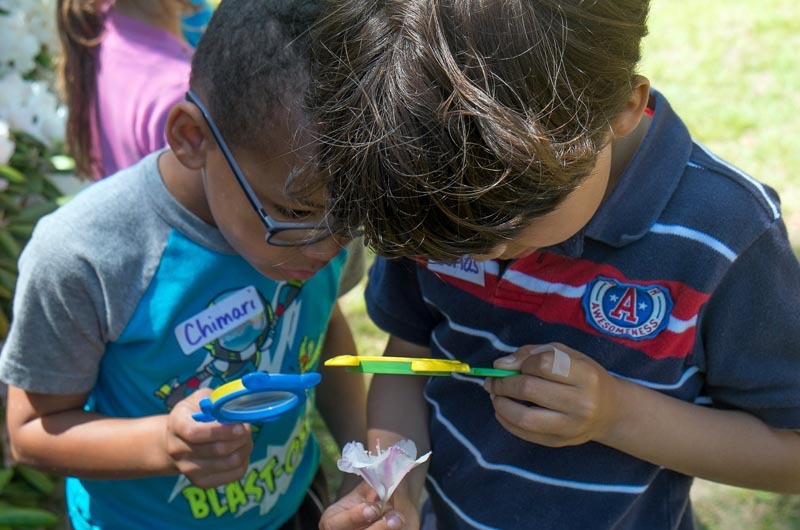 The young scientists asked questions along the way and also took time to stop and smell the flowers. “Oh, my God, these are so beautiful,” said Jonas, while standing in front of a patch of Japanese azaleas. His friend Zach picked a blade of straw from a field, put it in his mouth and pretended to be a farmer. After the hour-long tour, the students reconvened in the barn to draw some of the flowers they had picked along the way. The kids were asked to draw as many details as possible to document their discoveries, just like professional scientists recording their work. “I’m getting them to document what they see so they can remember and bring that back to the classroom,” said Ms. Dripps. Before the students returned to the bus to go back to school, Ms. Dripps addressed the class as a whole one more time.